Uni spent midsummer eve in Luleå and then continued further north on a fun trip to the polar circle, Jokkmokk and the Treehotel. 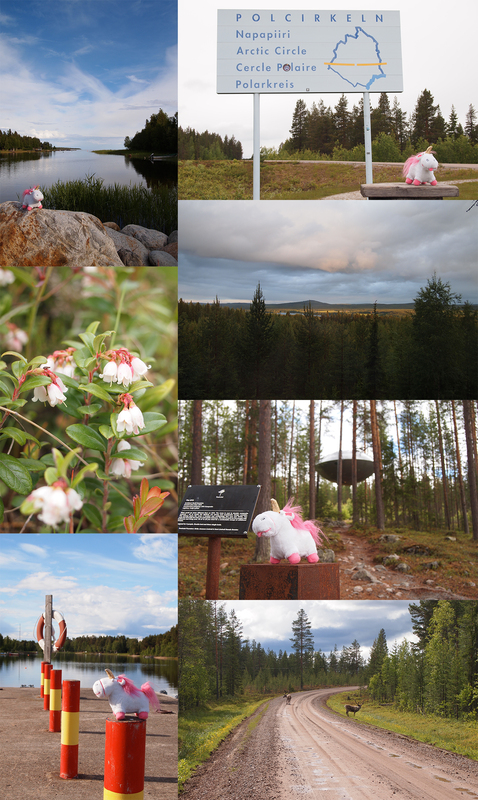 In Lapland Uni saw reindeer, lingonberry flowers, the polar circle, lots of forest … and an UFO! The forest smells fantastic at this time of the year!